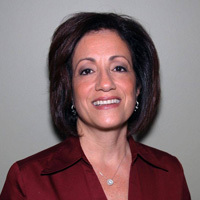 Debra Chiappetta is Mortgage Loan Originator (MLO) licensed by New York State Department of Financial Services helping homeowners and first time home buyers in NYC, Brookhaven, Islip, Babylon, Huntington NY and the surrounding metro areas. Debra will exceed your expectations by providing you with the superior service you have come to expect from Artisan Mortgage. Debra Chiappetta, Senior Mortgage Consultant at Artisan Mortgage Company is one of the most experienced home loan experts on Long Island, NY. With over 20 years of experience in home financing, Debra understands the important needs of her customers and strives to create a mortgage to meet their specific needs. Whether you are looking to purchase house on Long Island, refinance mortgage in Melville, or build a new home in East Hampton, NY put Debra’s experience to work for you. She can also help you with investment properties, second homes and vacation homes. Debra enjoys working with prospective owners and those looking to lower their payments, educating them throughout the mortgage process and sharing in the excitement of buying a new home or refinancing their current home across New York State. Let Debra find the loan program that is right for you. Request custom quote or give her a call today at 1-800-499-0141! Call Debra Chiappetta to help you through the mortgage process! Thank you Debra Chiappetta for the wonderful experience that I had with my mortgage closing. I was so grateful that I had so little to do and no paperwork. It made it so easy for me. I also would like you to know what a really nice person you are and your staff did a great and easy job for me. I will recommend Artisan to everyone I know. Debra Chiapetta has been our broker for over 20 years and has guided us through multiple complex deals and has always been professional, accommodating and in many cases, a miracle worker. When I began the process of getting a mortgage I was very nervous. Debra held my hand through the entire ordeal. She really made it easy and I would give her name to anyone looking for a mortgage.